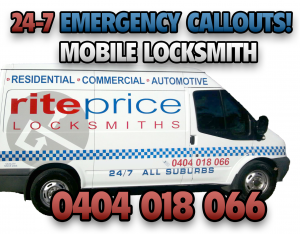 Rite Price Locksmiths bring over 10 years of locksmith experience to your door with our Adelaide & Hills Area Mobile Locksmith Service. Rite-Price Locksmiths in Adelaide bring over 10 years of locksmith experience to your door with their Adelaide Area Mobile Locksmith Service. Fully qualified locksmith and has been in the industry since 2002, we believe in using quality products and carrying out installation cleanly and efficiently for affordable prices. Rite Price is a family owned business and we proudly offer an honest, competitive and personalised service to our Adelaide customers. Rite Price Locksmiths stock a large range of quality lock hardware in our fully equipped mobile workshop. Being a mobile locksmith we are not afraid to travel so please dont hesitate to call us – we are always local as we are mobile. If on the rare occasion we cannot service your needs within your timeframe we can refer you to a reputable locksmith within our network of carefully selected locksmith businesses. Customer Satisfaction & Quality workmanship is what we strive to achieve and what you will get at Rite Price Locksmiths.